Each fall brings a season of discovery to Downtown Farmington. The cooler temperatures, longer shadows, wisps of woodsmoke, and the Harvest Moon rising. Celebrate Michigan's most glorious season during the Harvest Moon Celebration. Join us outdoors in Riley Park under the Sundquist Pavilion in Downtown Farmington as we say farewell to summer and festively ring in autumn. On Thursday and Friday evening, September 20 and 21, sample harvest food from food trucks and local restaurants, sip craft cider and artisan ales, explore fine wines or just enjoy the music and dance under the stars. Then join us agin on Saturday morning/afternoon, September 22 for Harvest Day in Riley Park. Tickets for the September 20 and 21 Harvest Moon Celebration are $6 in advance; $8 at the door. One ticket admits one person for one day of the event. This event is 21+ only. You can purchase your tickets in advance at the Farmington Farmers & Artisans Market, The Vines Flower and Garden Shop, Merle Norman Downtown Farmington, John Cowley & Sons, and Meadows Fine Wine & Liquor. Want to get behind the scenes? Volunteer at Harvest Moon! https://www.signupgenius.com/go/30e054bacab2aa46-20181 Harvest Moon would not be possible without the generous support of our 2018 sponsors, Renewal by Andersen LLC, Power Home Remodeling, Tom Holzer Ford and SMART Bus! Thursday, September 20 6 p.m. to 11 p.m. Thursday is the premier, opening night of Harvest Moon! Discover and enjoy a broad selection of craft beers and delectable wines from the Great Lakes region and around the world, all accompanied by tempting harvest fare provided by The Rolling Stoves, Pietrzyk Pierogi, and Cinnful Snacks. All of your favorite Harvest Moon craft beers and wines can be found at Meadows Fine Wine & Liquor in Farmington. 6:00-10:30 p.m. Food trucks, wine tasting, and craft beer 7:00-11:00 p.m. Live music with Northville Folk Friday, September 21 6 p.m. to 11 p.m. In its 14th year, the event that began Downtown Farmington's tradition of celebrating the splendor of autumn now draws hundreds of visitors from the greater Farmington area. 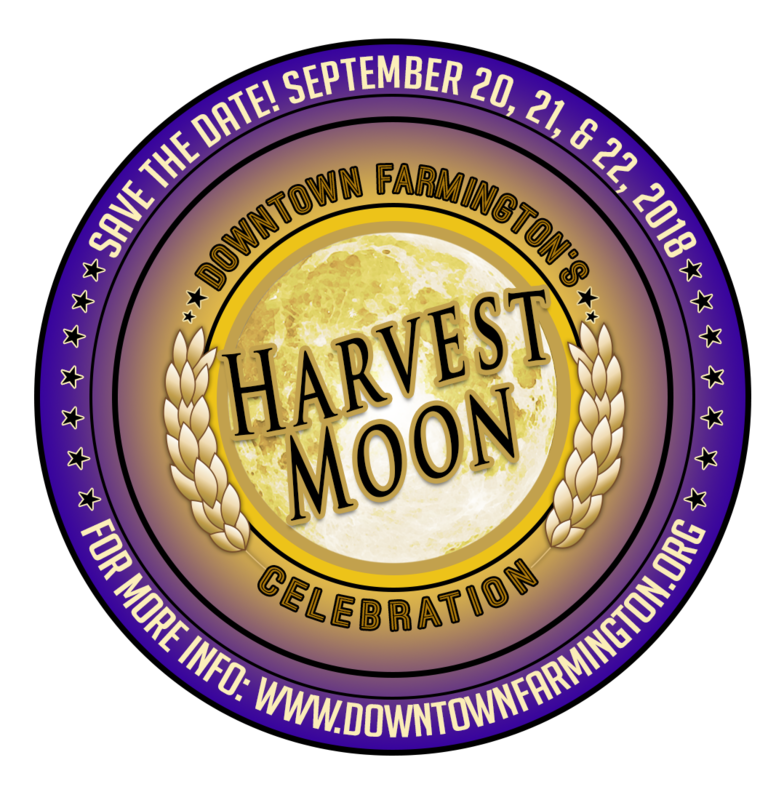 Featuring live music, dancing, craft beer, artisan wines, and the Taste of Downtown Farmington, which features food from local restaurants including The Cheese Lady Farmington, Basement Burger Bar - Farmington, Dagwood's Deli and Catering, and more! 6:00-10:30 pm Taste of Downtown Farmington, craft beer and wine 7:00-11:00 pm Live music and dancing with Bugs Beddow & the Good Stuff Saturday, September 22 8 a.m. to 2 p.m. Farmington Area Jaycees Pancake Breakfast 8:00 a.m. to 10:30 a.m. $5 Adults and kids eat FREE Afterward, experience Saturday in a Michigan small town at the Harvest Market hosted by the Farmington Farmers & Artisans Market from 9:00 a.m. to 2 p.m.